Gives full control even during boot up, BIOS level or computer crash states. The ADDERLink ipeps+ will work even if the controlled device is not operational. 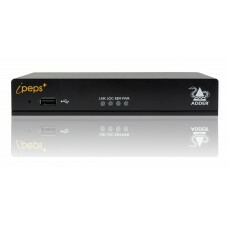 The ADDERLink ipeps+ will accept an HDMI input up to 1920x1200 resolution. It incorporates the renowned VNC Viewer from RealVNC, which allows frame rates of up to 30fps, depending upon available network bandwidth and content. Alternatively, it may be used with any VNC viewer that supports RFB v3 or v4. The unit may be attached to computers with DVI or DisplayPort DP++ (dual-mode) with a converter cable. Enterprise grade security (using AES 128 or 256-bit encryption and RSA 2048-bit public key authentication) is employed as standard. This is further enhanced by VNC, which allows the creation of ciphered user communications. The ADDERLink ipeps+ can create up to 16 user profiles with defined access rights. LDAP integration with Active Directory is provided for enterprise level user authentication. 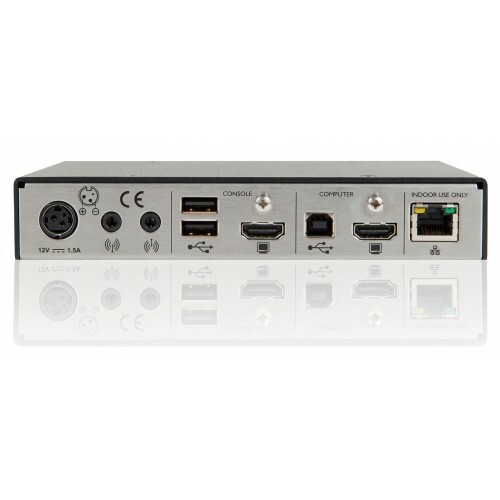 Up to 8 remote users may access the unit simultaneously. The ADDERLink ipeps+ has intelligent EDID management allowing the user to specify the video modes generated by the controlled device. KVM connections are available for local user access. This may be useful during emergency and system maintenance activities. The ADDERLink ipeps+ may be used as a remote gateway into the ADDERLink INFINITY, DDX and XDIP matrix systems, plus the ADDERView AV4Pro Switch. This will allow remote users to access any computer connected to the switch.